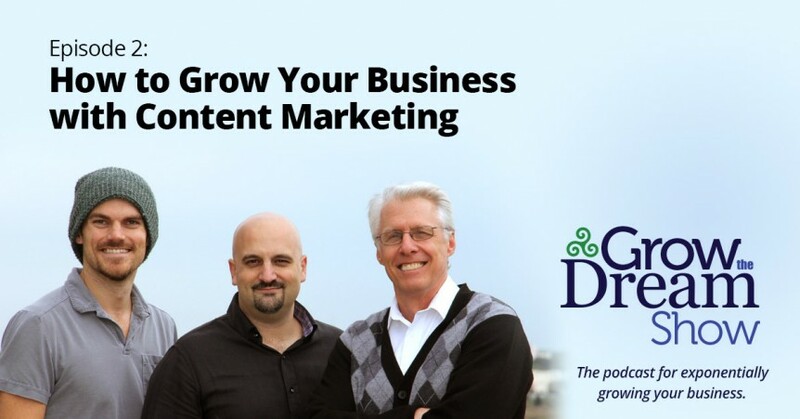 In the second episode of the Grow The Dream Show we cover the what, why, and how to get started with content marketing – attract new customers, built credibility, and enhance your SEO. Plus we’ll talk about MCT oil and how it can enhance your morning routine! High quality content creation services on demand. Eight O’Clock whole bean medium roast Arabica coffee on Amazon. Learn more about Bulletproof Coffee on Wikipedia or check out the Brain Octane MCT Oil on Amazon. Or watch the movie about brain enhancement – Limitless with Bradley Cooper. 2x founder, startup junkie, and host of The Pitch podcast. First I’d like to say I really like your show so far. It’s very interesting. I have a question, that might be a bit stupid, but I just want to make sure I got you right. Just to state, I use a Wix website, just in case that makes a difference. On this episode (no.2) you were saying how important it is to link my blog posts to my home page. So just to make sure I got this right, you mean that at the end of a post I’ll say something like, “If you need a plumber click here” and create a button there to take you to the home page? That’s what you mean by linking, right? It’s great to have you listening! Also thanks for your comment. If you’re looking for one of the best marketing firms in Sarasota, we’re here for you! Side note: If the link is on a different site than your own, you have to be careful with anchor text like what I used in the example above. Currently, a link coming to your site from another site would be better (if you have any opportunity to have input into how it’s created) if the anchor text just focuses on your brand name or business name instead of a keyword phrase.